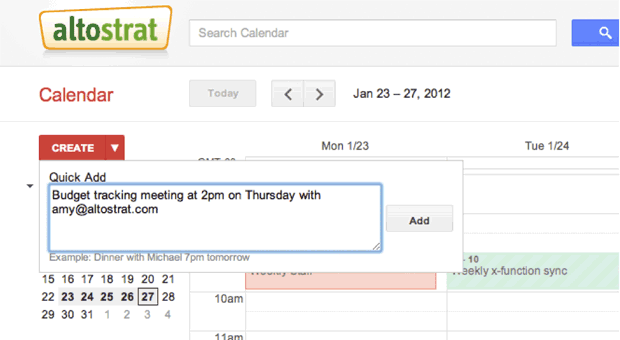 With Google Calendar, you can schedule meetings and events with your coworkers, just as in your old calendar application. Overlay multiple calendars to see when people are available - a great way to manage staff schedules, for example. 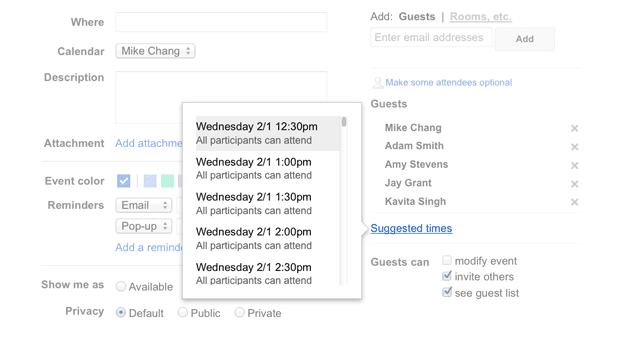 Google Calendar sends invitations and manages RSVPs. 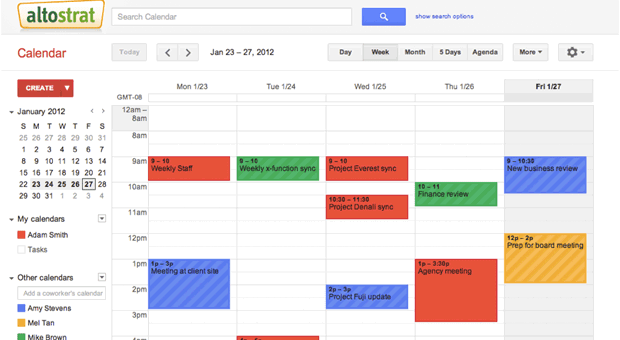 Google Calendar is integrated into Gmail and interoperable with popular calendar application. Sync the built-in calendar on popular mobile phones such as Android and iPhone with Google Calendar or access your timetables from any device with a web browser. Even receive calendar notifications via SMS. Get custom reminders on your mobile phone or in your inbox, with all the details about your upcoming classes and meetings, right when you need them. Google Calendar is designed for security and reliability with features like encrypted connections to Google's servers, simultaneous replicated storage for your calendar appointments, built-in disaster recovery, and fine-grained sharing, which lets you share your calendar with people in and out of your school or organization. The Google Calendar app for Chrome lets you view your class schedule and respond to invites, even when you don't have an internet connection. Your calendar will be synced the next time you connect to the internet. Publicize big school events by publishing an events calendar for all to see. You can share this with students and parents alike. Easily embed calendars into web pages.